Fun Facts! Purslane has long been considered a weed in the US. Now it’s gaining acceptance as an edible plant, though it’s been consumed for centuries in the Middle East, Africa, South America, the Far East and parts of Europe. Purslane resembles a miniature jade plant with paddle-shaped succulent green leaves and a red hue around their edges. It grows naturally throughout the Americas in most of our backyards! Medicinally, purslane has been used by many cultures as a muscle relaxant and for blood-related illnesses. It is called ‘the food for long life’ in Chinese medicine. It’s believed this ‘weed’ has been present in North America for thousands of years since evidence dates back to the Pre-Columbian era. Purslane is the subject of exciting ongoing study, and so far the research confirms traditional uses and more! Purslane contains compounds that are anti-inflammatory and anti-spasmodic. It’s a mild muscle relaxant and boosts our body’s healing process. Further, it contains compounds that reduce the risk of cancer and heart disease and help relieve symptoms of Parkinson’s disease. Purslane has the highest amounts of omega-3 fatty acids of any plant food, as well as a wide range of vitamins and minerals. It is low in calories and fat, and rich in fiber. Its vitamins include C, E, B-complex and A. Minerals include folate, calcium, iron, potassium, lithium, and magnesium. A common cooking trick for reducing bitterness is to add lemon. In this recipe, the wedge can be juiced rind and all! The rind of all citrus is edible and packed with nutrients but should only be eaten in small quantities. Purslane can be found in most yards in the northeast and southeast. 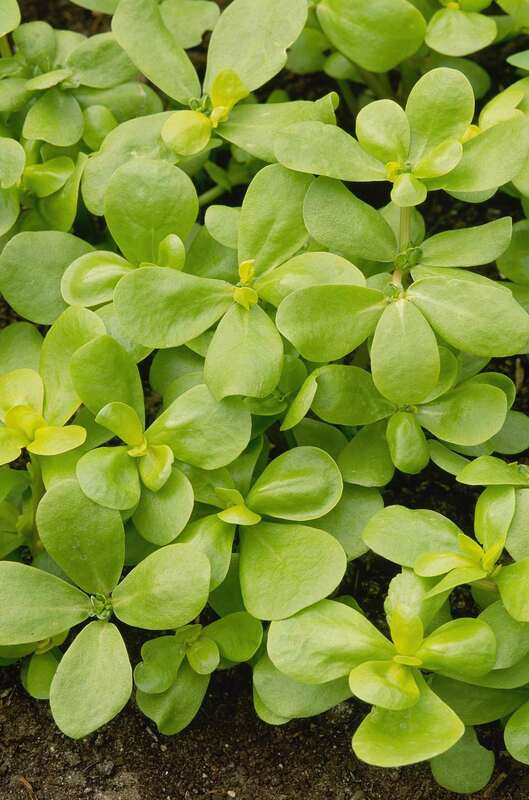 For pictures of purslane and other edible greens around your home go here. Use the skin of the apple, carrot, and cucumber - they are full of nutrients.